Sylvania Soaring Adventures is a commercial flying school that provides glider rides to the public. Ride along with our FAA certified commercial pilots in our dual control gliders. Choose from our glider ride packages, gift certificates are available. Our most popular ride to enjoy the ultimate flight experience. Starting at over 5,000 feet above the ground, you’ll have a bird’s eye view of the Wisconsin countryside. On a clear day, the Chicago skyline is visible, so don’t forget your camera! With the flight lasting from 30 to 40 minutes, we will demonstrate the basic use of flight controls and allow you to get the feel of flying the glider. You will have the most time to feel the freedom of flight or just enjoy the beauty and solitude of silent soaring. Purchase 2 or more rides for $209.00 each. Tow to 4,000 feet above the ground and enjoy soaring for 25 to 30 minutes. Dual controls allow you plenty of time to fly the glider and learn some basic maneuvers. When scheduling this flight, request an instructor and you can even log the time in the free log book we will provide you. Purchase 2 or more rides for $179.00 each. Learn what soaring is all about. Starting at 3,000 feet above the ground, you will fly with a FAA certified pilot in one of our gliders. If you’d like, we will demonstrate the basic use of flight controls and allow you to get the feel of flying the glider. This 15 to 20 minute flight for one is a great hands-on experience. Or choose to sit back, relax, and enjoy the scenic view. Purchase 2 or more rides for $139.00 each. Designed to give you a very good insight into glider flight and soaring. 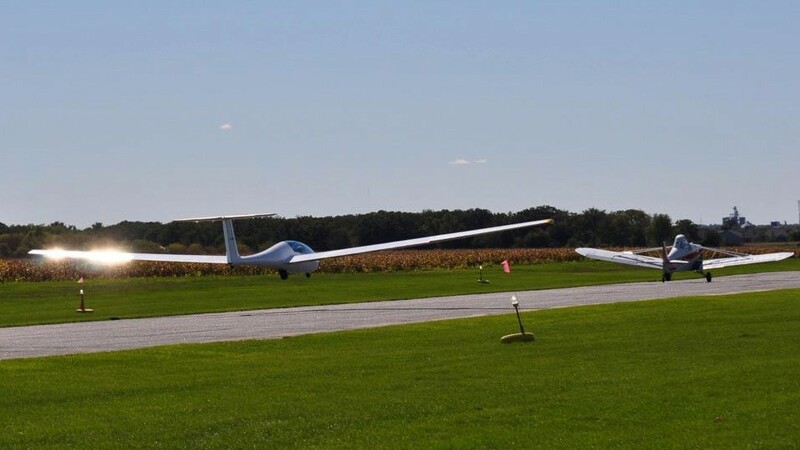 This package comprises of one 1/2 hour of ground instruction; the training book “The Joy of Soaring”; a total of 3 tows including one tow to 3000′ and 2 tows to 2000′. These flights are with an FAA certified instructor and you can log the time in the free log book we will provide you. Purchase 2 or more packages for $309.00 each. Any of our rides have the option to be extended an additional 20 minutes providing the thermal activity is good and no rides are scheduled for the same time slot. If selected an extra $75 will be charged at the end of the flight. Max passenger weight depends on aircraft and pilot weight. Aerobatic ride max is 185 lbs. Max for all others 242 lbs.